Washington (CNN) – The National Republican Senatorial Committee, the organization tasked with electing and reelecting Republican senators, has issued a petition that states "President Obama plans to close the U.S. Embassy to the Vatican." The problem: The NRSC’s claim is misleading. The organization says the move is "the latest anti-religion pursuit of this Administration, a slap in the face to Catholic-Americans around the country that weakens America’s position as a global leader." Here is the truth: Neither Obama, nor the State Department, are planning on permanently closing the U.S. Embassy to the Holy See – also known as the Vatican. What is happening, however, is the building the embassy is currently using is being moved to a property closer to Vatican City. Last week, the State Department announced it was moving its freestanding Vatican embassy to a compound shared with the U.S. Embassy in Italy and the U.S. Mission to the United Nations. On a call with reporters, a senior State Department official said the purpose for the move was to save money and increase security. In response, former ambassadors to the Holy See – like Jim Nicholson, who served under President George. 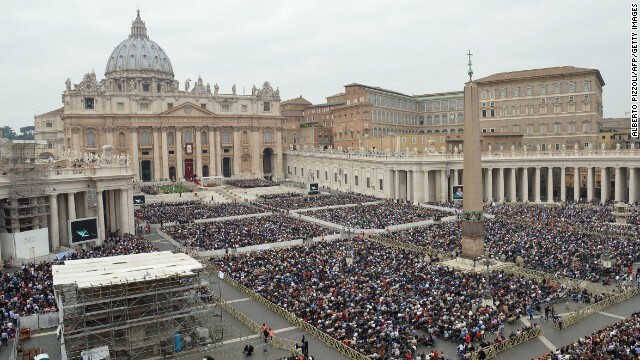 W. Bush, and Raymond Flynn, who served under President Bill Clinton – cautioned in interviews with other news outlets that the move from a freestanding building without a compound would signal a diminishing relationship between the U.S. and the Vatican. "It's turning this embassy into a stepchild of the embassy to Italy," Nicholson told the National Catholic Reporter. Conservative Catholic activists then seized on the news and began assailing the Obama administration with claims of being "anti-Catholic." But in an interview with CNN, a spokesman for the Vatican said the move was well within the Holy See's requirements for embassies and that relations with the United States are far from strained. Another Vatican official, not authorized to speak on the record about diplomatic relations, said the Vatican understands there were security concerns with the current embassy and the move is "not the ideal, but not the end of the world." Brad Dayspring, communications director for the NRSC, told CNN that "the petition is in response to an Administration policy" and that the move "is one perceived by many Catholics as hostile and completely unnecessary." "This certainly isn't the first time that the Obama Administration has been perceived as taking actions hostile toward religion and religious freedom," he said. When questioned about the fact their petition implies the administration is permanently closing, Dayspring said "it was written yesterday in response to initial rounds of media reports" but continued to defend the claim. In response to charges that the move will hurt relations between the Vatican and the U.S., the State Department official pointed out there will be "no reduction in diplomatic staff, there’s no reduction in ambassadors, there’s no reduction in mission." Some former ambassadors to the Holy See have expressed outrage at the fact that embassy is moving within a compound. Francis Rooney, the former U.S. Ambassador to the Holy See under President George W. Bush, told CNN the move will "depreciate the prestige of the mission." But not all ambassadors feel the same way. Ambassador Miguel H. Diaz, who served as Obama's first ambassador to the Holy See, said he firmly believes "it is absolutely erroneous, to interpret this decision in any way as the intention of the Obama administration to undermine or diminish the relationship between the United States and the Holy See." What's more, Rooney said that making this a political issue – about whether the Obama administration his anti-Catholic – is bad for diplomacy. "I would rather focus the discussion on the mission itself and the diplomacy and try to get away whether it is anti Catholic or pro Catholic," he said. "I think the debate ought to be what is best for the mission, not that this is another onslaught of secularism." Liberals love to deflect. Just read these comments. It's so 'in your face" and transparent, just like this administration. Imagine that. Another lie about our President from the right wing teaklan nutsos. Quick somebody call Derwood Issa. This needs to be investigated. What a bunch of morons, and Jeb Bush in the lead of this Village Idiot Meeting.